Probably the biggest search engine on the web. Click on the "usno" link to find out what the "official" time is, according to the United States master clock. Is it a true story or just an urban myth? Find out here. Large supplier of photo and video equipment in New York City. A large source of compact discs, music, etc. Did you break a plate, or just want additional pieces for the set? Search here for exactly what you need. Find a new job here, or find new employees here. Another large job-listing and searching site. One of the "big three" credit reporting services. ...and why they change color in the autumn. Did you ever wonder what would happen if you put a compact disc in the microwave. Don't try it yourself; see the experiment done at this site. Would you believe - professional sand castle builders! A "ring" of web sites about calligraphy. A site full of optical illusions. Calligraphy and illuminated manuscript information. Information and images from the University of Chicago, of the illuminated Hours of the Duc de Berry. Understanding the art of M. C. Escher and the science of tesselation or "regular division of the plane"
Information about this early method of producing color photographs. Manufacturers of film and photography-related products. Information and resources dealing with digital photography. Retail store selling photographic supplies and services. Recipes for all kinds of food. A club in Elkins Park (Philadelphia area.) This is the one with the famous lift bridge across the aisle. Although the layout was dismantled, and the club reorganized as Royersford Modular Model Railroaders, John Almeida has kept the Oaks web site active. Penn State's model railroad club, located in University Park. Model railroad club in southern New Jersey. National Model Railroad Association. The group that set most of the standards used in model railroading in the United States. The local chapter of the National Model Railroad Association. Manufacturers of model railroad equipment. Manufacturers of model railroad equipment. Models of cars for the Reading Railroad, Pennsylvania Railroad, and others. Also trucks and other parts for railroad cars. Manufacturers of model railroad equipment, especially Pennsylvania Railroad locomotives and cars, but plenty of other kits also. Manufacturers of detail parts, to "dress up" and super-detail those plain kits. Manufacturers of digital control systems for model railroads. Manufacturers of model railroad kits. Manufacturers of couplers, trucks, and model railroad cars. Manufacturers of model railroad equipment. Now part of Bowser. A large site with links to model railroad and real railroad sites. A site about switch towers of the Pennsylvania Railroad. Now that's a fast train! 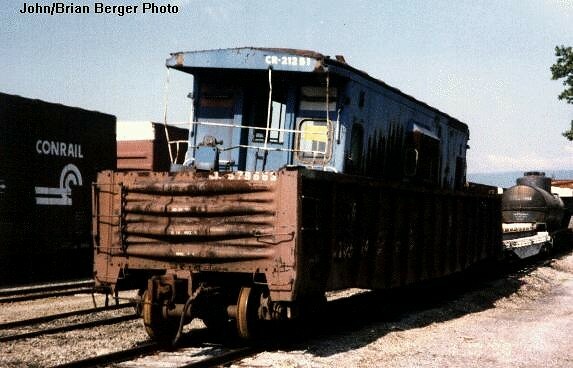 A caboose that has seen better days. All kinds of transportation information; legal info and photos of transportation incidents. Information about all those sails and ropes you have wondered about. Some information about the SS United States, now docked in Philadelphia awaiting possible renovation. Three-point turns can be difficult, especially when driving something a few hundred feet long! Meanings of international signal flags, as seen on ships and boats. If you want to know a little about the plane you are about to fly on, check out the data here. Information about highways in Pennsylvania. Information about roads and highways in the Philadelphia area. Web site of Montgomery County, Pennsylvania. A county park, partially in two townships and a municipality. It features hiking trails, but is also a working farm. Pennsylvania winery located in Chadds Ford. Bucks County Historical Society. Located in Doylestown (Bucks County) the Mercer Museum contains Americana and artifacts collected by Mr. Mercer. Part of the Pennsylvania system of state parks, accessible through this site. This museum's collections contain art from various periods of history. Sculpture, painting, metalwork, even a few complete rooms from other buildings are on display in its galleries. Named for Benjamin Franklin, this science museum has exhibits suitable for children and for adults. On the Delaware River, this museum is home to a WWII submarine and the cruiser Olympia, among other exhibits. An educational institution and museum, located in center city Philadelphia. The largest newspaper in the city. The museum of the University of Pennsylvania. Extensive exhibits on archaology and anthropology. Information about Boathouse Row, and the rowing clubs along that part of the Schuylkill River. Information about this famous race. In this case, hidden bonuses in software and other places. Links are provided for convenience, but only you can determine which sites are reliable and meet your own needs. If you find any links that are inaccurate, please let me know. I do check most of them from time to time, but this site is maintained in my spare time, so I may miss a change from time to time.